Located throughout the United States, DHS Systems' professionals provide 24/7 customer service, technical support and product information via phone, email or on location. HDT Global follows strict quality control procedures that ensure that each of our products has been checked and rechecked to guarantee the finest quality available. 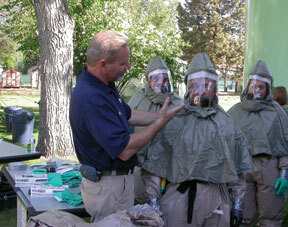 Training and support packages are available for our DRASH® shelters, trailers and associated equipment.